We live in a world of what-ifs. Everyone wonders what would have happened had they said something different or just kept their mouth shut. If they could have succeeded if they’d just had a little more time. In the light of elections people love to wonder what would have happened if the other candidate had won whether it be for better or for worse. Well, what would have happened if a “pint-sized” red-haired young woman had convinced Richard Nixon not to resign after the Watergate scandal? In his novel “Jackson Place,” John H. Taylor, Nixon’s Chief of Staff answers that question. The novel follows the tangle of events that transpire after Emily Weissman, a young White House staffer, convinces the 37th president not to resign from office, but to invoke the 25th Amendment, which hands his power over to his vice president Gerald Ford. Nixon follows Weissman’s advice without consulting anyone else in or outside the White House, and with no warning leaves the rest of his staff and the entire country reeling. “Jackson Place” is not a novel you can read in one rainy afternoon while curled up with a blanket and a cup of tea on your couch. The suspense and excitement of the novel is interwoven with explanations of political tactics, history, the inner workings of the political parties and the complicated interactions between people with at times confusing connections that go into making politics work. It is a political and historical novel that doesn’t try to simplify or dumb down the messy situation for the reader. It is a novel to pick up if you want to think and learn something new. There are no rose colored glasses in “Jackson Place.” The politics and the people are painted exactly as they are – messy and flawed. There is no perfect person, no superhero rushing in to save the day, just a bunch of normal people with their own motives, histories and loyalties muddling through a complicated situation. This novel is not an apology for what Nixon did. It does not paint him as an innocent guy who made a mistake or an evil, lying scumbag it simply presents him, and all the other characters in the novel, as imperfect human beings who still deserve to be recognized as just that. A basic understanding of what really happened in the Watergate scandal and how the U.S. government works is helpful when reading this book, but isn’t necessary. It doesn’t require you to be a political science major or a history buff to understand what is going on or to enjoy the story. Due to some profanity and more adult themes, it is not suitable for younger readers, but is appropriate for high school students and beyond. It is probably best to keep in mind while reading that this is a book about politics and politics are not always pretty. While this book is written from a conservative point-of-view and focuses on the more conservative side of politics, it is not just a book for conservatives. The dry wit, larger than life characters and engaging storyline makes it accessible to all readers whether they are Republican, Democrat or somewhere in between. 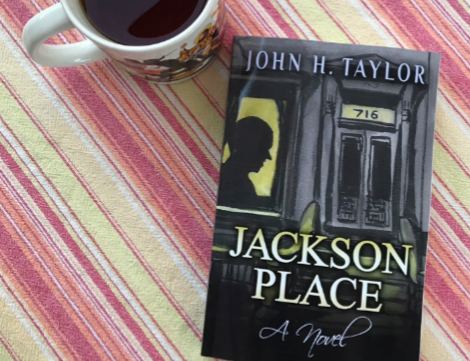 There is something in “Jackson Place” for everyone, especially if you are willing to put aside your judgement for a little while and simply enjoy the story.